Dual 0.0021uF 40kv? 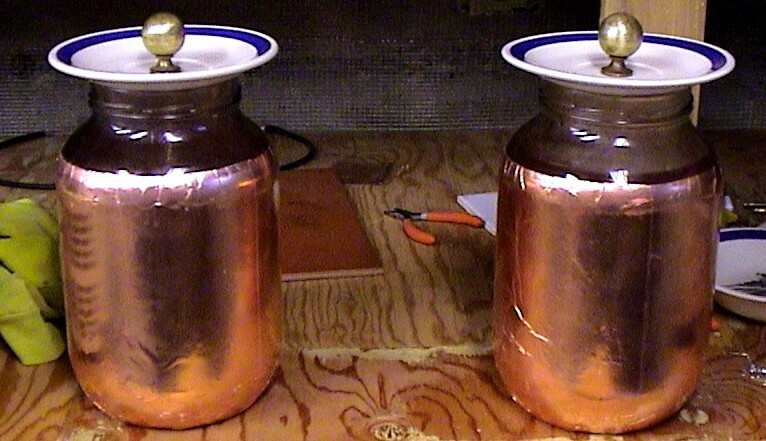 Leyden jar construction, note: had to replace the salt water inside with copper foil, careful attention to adhering the strips as flat as possible and removing as many of the wrinkles as possible allows almost as much capacitance without sacrificing nearly as much leakage, also the chain doesn't rust so quickly. 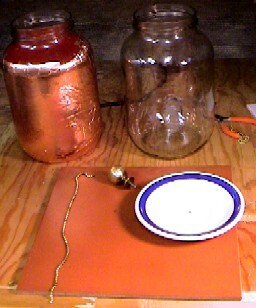 Note: these aren't good leyden jars, because (in part) the copper foil on the outside is so wrinkly. 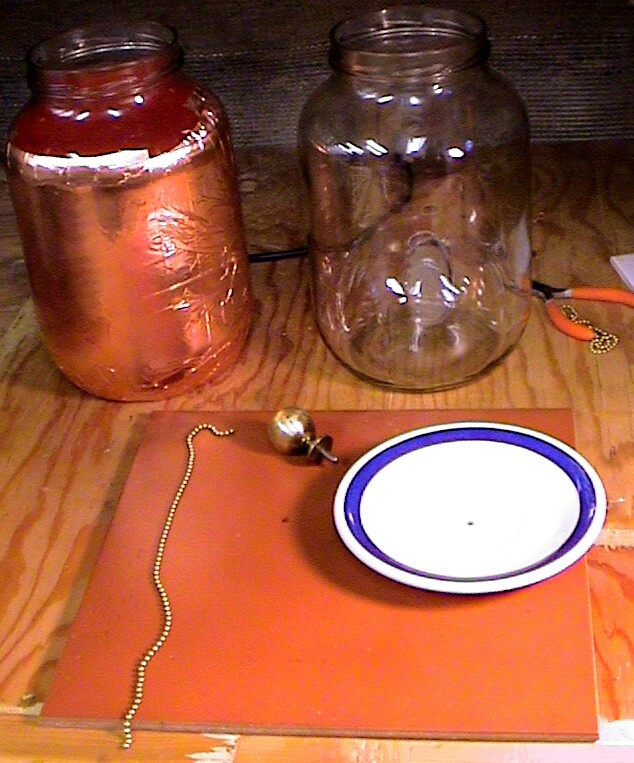 I suspect also that the brass knobs are leaking at the base (nothing a gob of silicone wouldn't fix I'm sure.